Almost eight months ago, I wrote about how we fared after the release of Galacide, and provided a road map for work this year. One of the ways we adapted after a tough release, was to partner with another studio to help them out! After release, we had the advantage of being one of very few indie developers that shipped Unreal Engine 4 game, only months after it became free-to-use. It made sense to help studios on their new projects, our experience would mean things get done fast! The call was put out to various developers, and we couldn’t have been happier with who responded: creators of many of our childhood favorites, inXile Entertainment. We knew we could learn so much from this collective of incredibly skilled industry veterans, so we jumped at the chance to work with them! With hopes high, and ambitions higher, we set out to get started on inXile’s newest chapter of the Bard’s Tale series; Bard’s Tale IV. A small team at first, we sped into development on a turn-based combat prototype, party systems, and implementing unheard of depth into the dungeons of the city that started it all, Skara Brae. Once production kicked into full swing, we became a small part in a much larger team from their New Orleans and Newport Offices. In total, eight of us in North Carolina and another three on the West Coast, have been staying busy alongside about forty other developers. Over that time, our partnership has grown and everyone is hard at work on other great titles from inXile Entertainment, like The Mage’s Tale and Wasteland 3. Downtime, while cooperating with our friends at inXile, has allowed us to stay busy on our own projects as well. 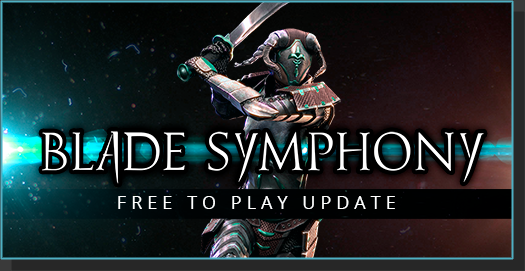 We’ve recently announced that our acclaimed tactical third-person swordfighter, Blade Symphony, will be transitioning to Free-To-Play soon. Check out all the new features and work we’re putting into its release! We’ll be coming back to you in a few weeks about some updates we’re making to Galacide, and potentially some to Dystopia. So stay tuned by joining us on Discord, or by checking out our newsletter!